Sure, people come to Buffalo Bill’s Cody/Yellowstone Country for the park, rodeo, Western museums and hot cowboy musicians, but it’s the fun facts they learn about along the way that get them talking. The other day I was sitting on the patio at one of my favorite coffee shops and pretending to read the latest issue of Country Music News. What I was really doing was eavesdropping on a young family from Upstate New York. Mom and Dad were talking about the Remingtons they saw at the Whitney Western Art Museum, but when they asked their kids what they liked about the Buffalo Bill Center of the West, they received some surprising answers. 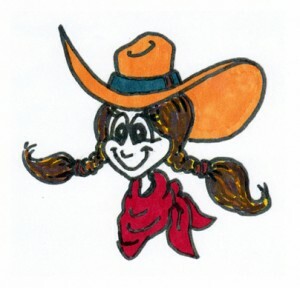 “I liked the chuck wagon out front where the guy was cooking beans and making coffee over the fire,” said the girl who looked like she was about 10 years old. “I liked the ‘duck gun’ in the Cody Firearms Museum that looks like you could shoot four bad guys at the same time,” said the girl’s little brother. I was happy the parents did not overreact and lecture their kids about them being too young for coffee, so I discreetly started chatting them up about some of the area’s lesser-known facts. Cody’s Poker Church was financed with the winnings from a card game. The town’s oldest church was built from the winnings in a poker game. In 1902 Buffalo Bill Cody and some friends were playing poker when the pot grew to a substantial amount. One of the players suggested that the winner should use the money for a good cause. 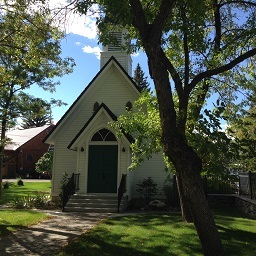 Cody’s close friend, George Beck, won the pot and subsequently used the proceeds to help build an Episcopal Church, the town’s first. The “Poker Church” is still in use today and, with its white walls and green roof, is easily spotted from the town’s 8th Avenue. 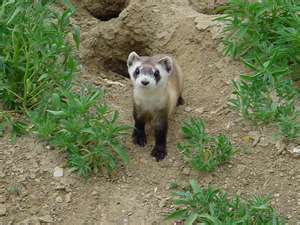 The black-footed ferret was thought extinct until several were found near Meeteetse. Black-footed ferret not extinct after all. In spite of substantial efforts over the years and passage of the Endangered Species Act in 1973, many biologists believed the black-footed ferret was extinct after the last of the animals in captivity died in 1979. In 1981, however, a dog named Shep brought a dead ferret to its owners, John and Lucille Hogg, on a ranch near Meeteetse. After wildlife officials were notified, ferrets were spotted in the area. The black-footed ferret has since been successfully reintroduced to parts of the West. 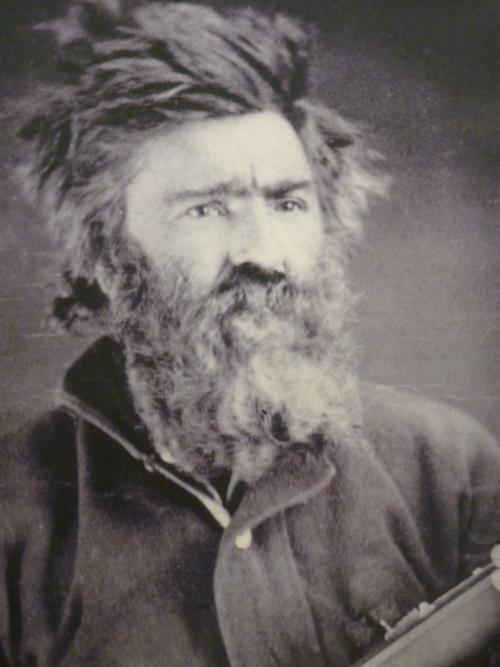 Jeremiah “Liver-Eating” Johnston was a mountain man who is buried at Cody’s Old Trail Town. Jeremiah Johnston was real. In 1972 actor Robert Redford played the title character in the film Jeremiah Johnson. In the movie, Johnson was a mountain man who wanted to live a hermit’s life but was repeatedly challenged by natives and newcomers. Jeremiah “Liver Eating” Johnston was a real life mountain man who shared many of the same qualities and adventures. Johnston was buried in California, but when a highway was routed through the cemetery, a local elementary school class petitioned to have him reinterred in a suitable location. Johnston’s grave is now located in Cody’s Old Trail Town, a collection of homesteader cabins and other Western memorabilia. And when the burial took place, one of the pall bearers was actor Robert Redford. The royal family of Monaco likes it here. In 1913 Prince Albert I of Monaco hunted with Colonel Cody, and the Monaco flag is still on the wall of Cody’s hunting lodge called Pahaska Teepee. Guiding the prince on this excursion was a man by the name of Fred Richard, a good friend of Cody’s. In 2013, His Serene Highness Prince Albert II, the current monarch of Monaco and the great-great grandson of Prince Albert I, visited the area to commemorate his great-great grandfather’s trip. Guiding the current prince on this trip was Fred Richard’s grandson, Bob Richard. Author Ernest Hemingway’s signature in the original hotel register at the Chamberlin Inn. That really is Ernest Hemingway’s signature in the guest register. In 1903 Agnes Chamberlin opened a boarding house in Cody and welcomed guests until the property was sold in 1939 and renamed the Pawnee Hotel. In 2005 current owners Ev and Susan Diehl purchased the Pawnee, renamed it the Chamberlin Inn, hired a contractor and turned the building into a beautiful boutique hotel. As part of the purchase, the Diehls insisted that the original guest register be included. 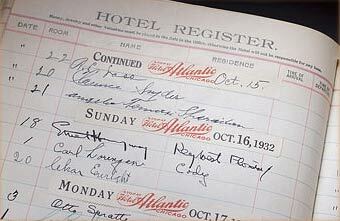 The register is displayed at the hotel and is opened to Oct. 16, 1932 where author “Ernest Hemingway, Key West, Florida,” signed in. Hemingway stayed in room 18 which is now called the “Hemingway Suite” and is available to hotel guests. Until next week, I am lovin’ life – and a cup of cowboy coffee – in Cody, Wyo.